Neglect. It’s not a word that would ever describe your parenting style. Right? Neglectful parents are the ones you see on the news. They leave their kids in hot cars in the middle of August to go drinking at the local bar. They leave their toddler and preschooler alone in a dirty house for hours at a time. Or, they send their kids to school with muck-covered clothes and lice. But, that’s not you. Not by a long-shot. 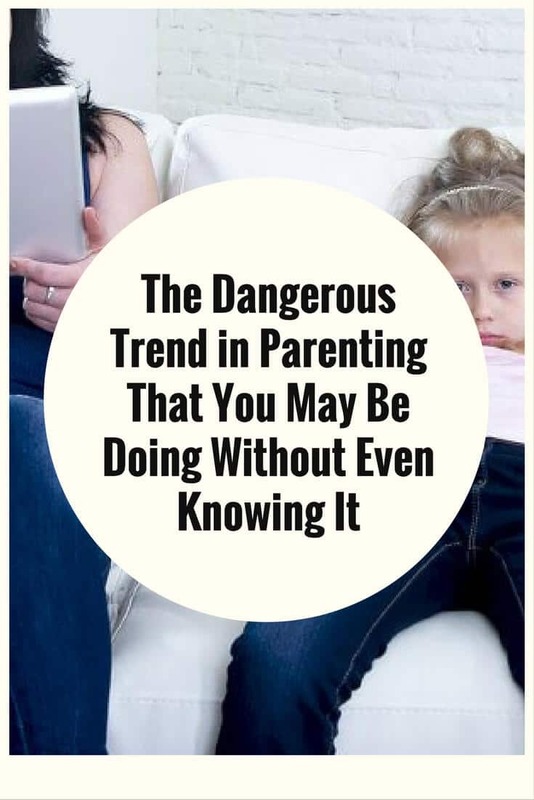 So, how could you ever be part of the dangerous trend in parenting that has to do with neglect? Okay, so first let’s start with the word “neglect.” You know what it means. When it comes to parenting, it means that mom or dad isn’t caring for the child – at least not in any way that meets the child’s needs. That said, “neglect” isn’t as cut and dry as it may seem. There’s the criminal kind of neglect. This is the type that gets parents picked up by the police and often results in social services stepping in. Then there’s the more subtle kind of neglect. The kind where the parent isn’t present (or at least, isn’t as present as the child needs him or her to be). Children want to feel loved, and crave a connection with mom and dad. They want to know that their parents are ‘tuned in’ to what they’re doing – even if you think they don’t. Hey, we’ve all seen the stereotypical picture of the distant teen. He rolls his eyes when mom asks, “So, how was your day?”, snubs family dinners and buries his head in his phone instead of talking to his parents. Does this mean that mom and dad are off the hook? No way! Even a child who seems like he doesn’t need his parents nearby actually does. Maybe not all of the time. But, there will always be times when mom’s hug or dad’s caring words are 100 percent necessary. When a parent doesn’t provide the love and attention that a child needs (even if it seems like it’s only for a little bit), the child may feel neglected. Again, you’re thinking, “I would never neglect my child. That’s just for criminals.” But, in the back of your mind the thought, “Well, maybe I don’t pay as much attention to him as I should” is starting to creep in. How do parents unknowingly neglect their children? Sometimes it’s in the little moments. The ones that don’t seem important – so you miss them, and don’t think twice about it. You’d never even consider missing your preschooler’s dance recital. But, you might not even realize that your budding ballerina is suddenly sad when you start reading work emails as she pirouettes though the living room. Smart phone use. This covers talking on your phone, texting, emailing, playing games, shopping on your Internet browser, googling anything or any Internet-related activity. Computer/tablet use. This one includes pretty much everything that smart phone use does. Watching TV. We know, Netflix beckons. But, sometimes you have to put down the remote. Working. This is a tricky (if not the trickiest) one. You have to work, right? It’s non-negotiable. No one’s saying to walk out of a meeting with your boss to hang at the playground with your 5-year-old. Work-life balance is difficult (um, maybe that should read “impossible”) to achieve all of the time. Keep in mind, work doesn’t just get in the way when you’re physically there. It also leads to missed moments when your mind is stuck on that last sales meeting or your co-worker continuously texts you after hours. How can you tell when your child feels neglected? It’s different for different kids. In general, you may notice that your child is withdrawing from you or from others. He may seem sad, depressed or like he doesn’t enjoy his home-life anymore. Over time your child may stop trying to get your attention or do the exact opposite. He may go to extremes (acting out, throwing tantrums or breaking rules) all in the name of having a loving, attentive relationship. Basically, anything that takes your attention away from your child can eventually lead to some sort of neglect. No, this doesn’t mean that your child will be left to run ragged in the woods and let a pack of wild dogs raise him just because you texted your BFF for 10 minutes. It does mean that you need to be mindful when it comes to how you act (and what you do, or don’t do) in front of your child.